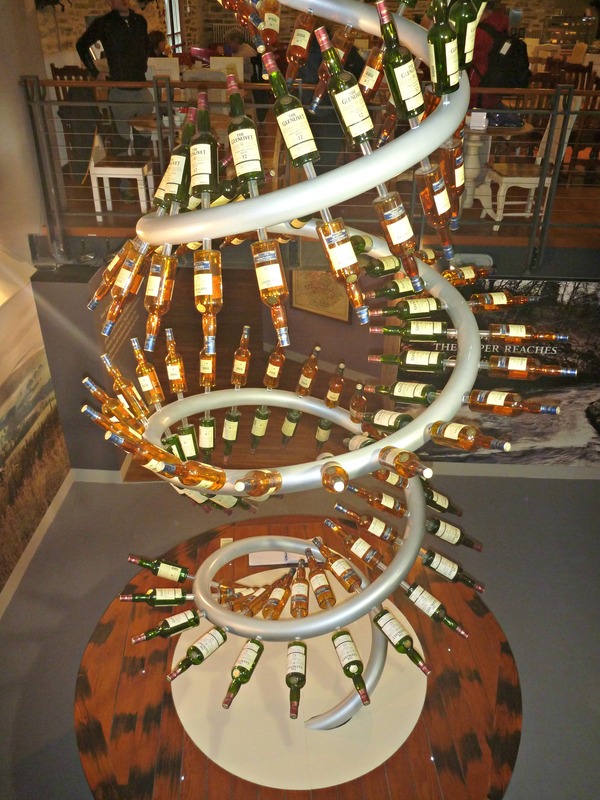 The Glenlivet Distillery is a very popular stop on the Whisky Trail in the Speyside region of Scotland. Its global presence in the marketplace is unmistakable. Even the branding includes the saying, “The single malt that started it all.” It’s definitely one of those malts that everyone has heard of and maybe even tasted. There were travels that I took in different parts of the world where The Glenlivet was the only selection of single malt Scotch available. Not surprisingly, it continues to be the largest selling single malt in the United States and now ranks second globally. It also doesn’t hurt that the distillery is located on a beautiful hillside just outside of Ballindalloch. Quite a stunning sight! The history of the distillery goes back to the time when Scottish legislation was passed in 1823 for distillers to apply and receive a license to legally produce spirit. George Smith, the creator of The Glenlivet, was one of first adopters of this “legal” process to the dismay of many other distillers who wanted this new legislation to be repealed. 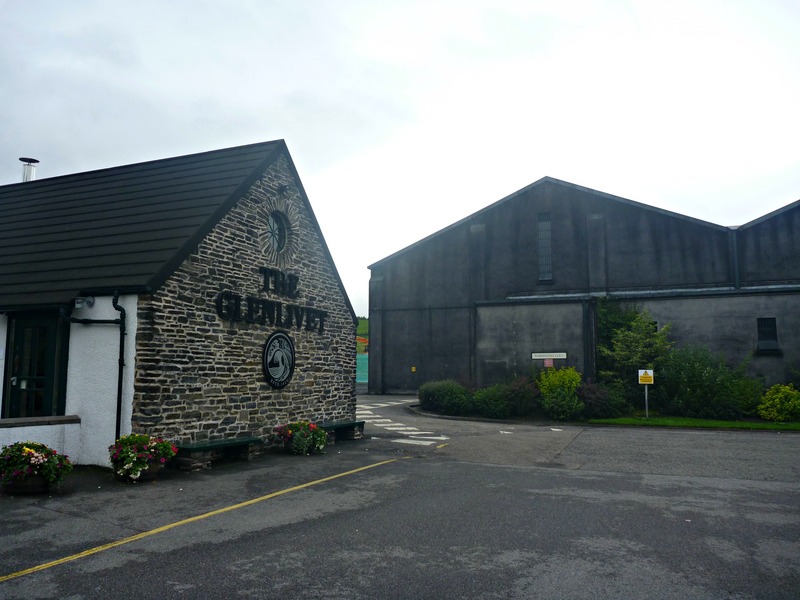 Many threats on his life were made, but eventually The Glenlivet distillery was established in 1824. The distillery remained in the family and it wasn’t until the early 1950s that the distillery went through a variety of mergers and acquisitions and is currently owned by the French spirits company, Pernod Ricard. 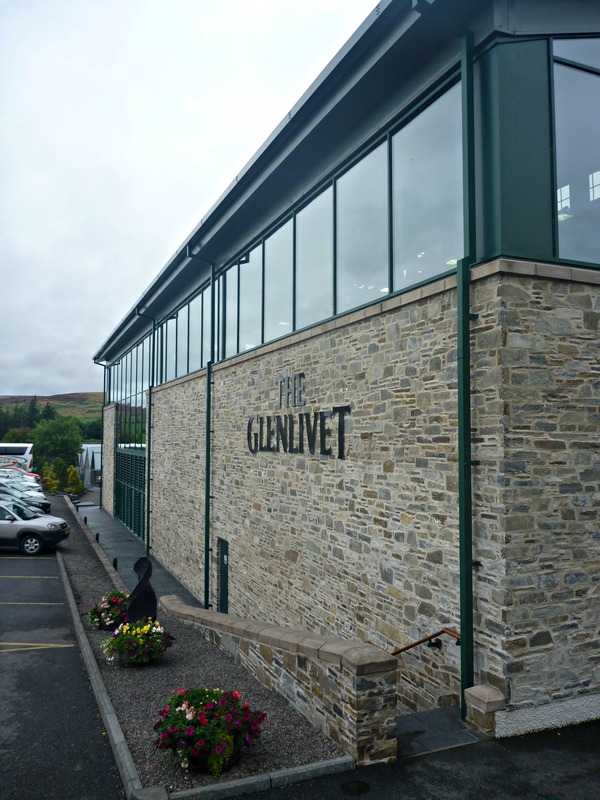 The Glenlivet distillery offers one of the few free tours found in the area. The distillery also has additional tours that are more specific based on different experiences and tastings and these are priced accordingly. We decided to do the free tour since we were short on time and visiting two other distilleries on the same day. There are also walking trails of varying lengths that can be done in the surrounding countryside. On a return visit, we would definitely include some time to do this. It is such a beautiful area. The tour ended with a tasting. Three tastes were provided which was generous considering that the tour was free. The first taste was the no-age statement Founders Reserve. The second taste was the 15-year-old French Oak Reserve at 40% ABV. The last taste was the cask-strength Nadurra, another no-age statement whisky at 63.1% ABV. There is a nice cafe and small exhibition space at the main visitor center. This is helpful because at The Glenlivet they do get busloads of people so there might be a wait for the free tour. We did have to wait, but this was fine since we were hungry and needed a little break. 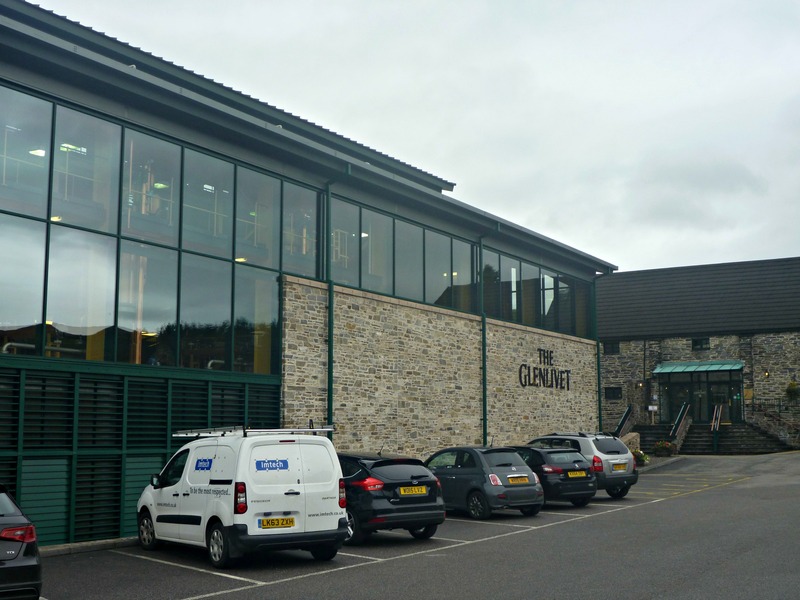 Charles’ Notes: The Glenlivet distillery was a nice surprise. I did not have very high expectations since it was a free tour, an immensely-marketed whisky and such a popular destination for tourists. For some reason, I always think this would make for a lackluster experience. But it turned out to be a very nice visit on a beautiful property. The views were incredible. The tour itself was very informative and open to information (sometimes you never know what they like to keep secret). The one downside was that they do not allow photos inside any of the working buildings. For this reason, I do not have many photos to share!! Most distilleries that do not allow photos say it is for safety reasons (fire danger, etc. 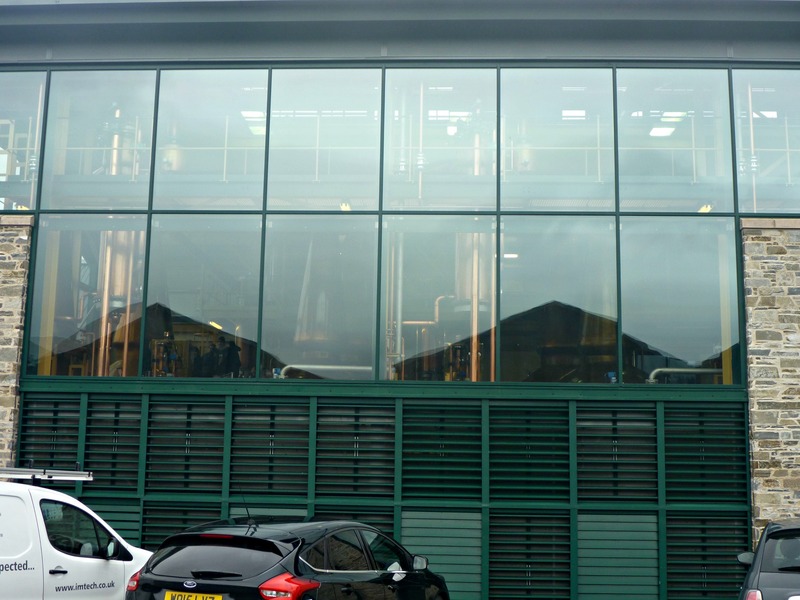 ), but there are a lot of distilleries that do allow photos. I think at times it is said more for keeping things secret, but oh well. 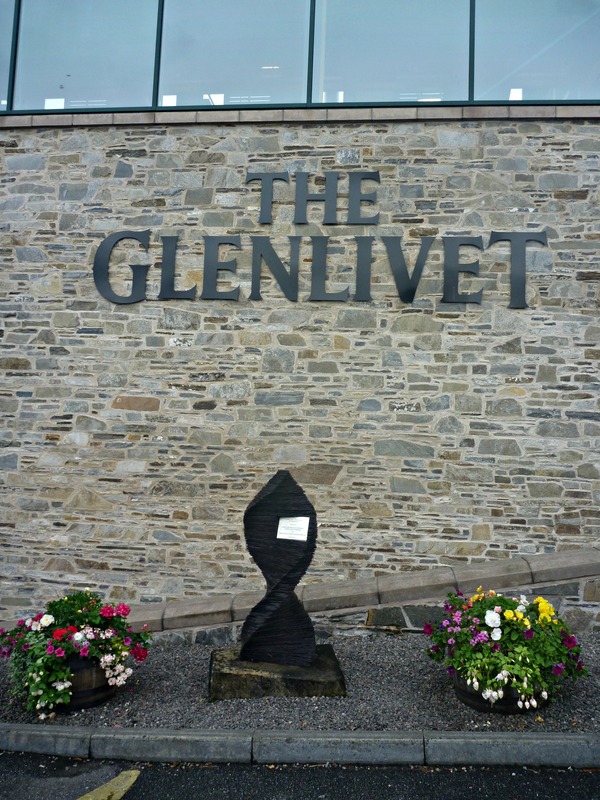 I would like to return to The Glenlivet to do a higher-level tasting tour and then go on one of the walking trails nearby. Now that sounds like a nice Speyside day. Slainte! Next Next post: Jersey Spirits Distilling Co.